Not to be confused with Surveyor of the Queen's Works of Art. The office of the Surveyor of the King's/Queen's Pictures, in the Royal Collection Department of the Royal Household of the Sovereign of the United Kingdom, is responsible for the care and maintenance of the royal collection of pictures owned by the Sovereign in an official capacity – as distinct from those owned privately and displayed at Sandringham House and Balmoral Castle and elsewhere. The office has only been full-time since 1972. It now operates in a professional capacity with a staff of a dozen people. The Royal Collection is the art collection of the British Royal Family and the largest private art collection in the world. A royal household or imperial household is the residence and administrative headquarters in ancient and post-classical monarchies, and papal household for popes, and formed the basis for the general government of the country as well as providing for the needs of the sovereign and their relations. A monarch is a sovereign head of state in a monarchy. A monarch may exercise the highest authority and power in the state, or others may wield that power on behalf of the monarch. Typically a monarch either personally inherits the lawful right to exercise the state's sovereign rights or is selected by an established process from a family or cohort eligible to provide the nation's monarch. Alternatively, an individual may become monarch by conquest, acclamation or a combination of means. A monarch usually reigns for life or until abdication. Sir Lionel Henry Cust was a British art historian, courtier and museum director. He was director of the National Portrait Gallery from 1895 to 1909 and co-edited The Burlington Magazine from 1909 to 1919. He was the father of Lionel George Archer Cust. 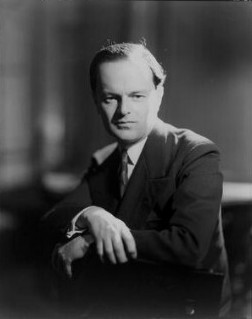 Kenneth Mackenzie Clark, Baron Clark was a British art historian, museum director, and broadcaster. After running two important art galleries in the 1930s and 1940s, he came to wider public notice on television, presenting a succession of programmes on the arts during the 1950s and 1960s, culminating in the Civilisation series in 1969. Anthony Frederick Blunt, known as Sir Anthony Blunt, KCVO, from 1956 to 1979, was a leading British art historian who in 1964, after being offered immunity from prosecution, confessed to having been a Soviet spy. Anthony Blunt FSA FBA 1945–1973 – Formerly Sir Anthony Blunt KCVO , until he was stripped of his titles after being exposed as a former Soviet spy. Desmond Philip Shawe-Taylor LVO became Surveyor of the Queen's Pictures in 2005. He succeeded Christopher Lloyd on Lloyd's retirement. Christopher Lloyd is a British art historian and was Surveyor of The Queen's Pictures (1988–2005). Sir Oliver Nicholas Millar was a British art historian. He was an expert on 17th-century British painting, and a leading authority on Anthony van Dyck in particular. He served in the Royal Household for 41 years from 1947, becoming Surveyor of The Queen's Pictures in 1972. He was the first Director of the Royal Collection from 1987. He served in both offices until his retirement in 1988. The office of Surveyor of the King's/Queen's Works of Art in the Royal Collection Department of the Royal Household of the Sovereign of the United Kingdom is responsible for the care and maintenance of the royal collection of works of art owned by the Sovereign in an official capacity – as distinct from those owned privately and displayed at Sandringham House and Balmoral Castle and elsewhere. The Royal Collection Trust is a British charity established in 1993 by Queen Elizabeth II under the chairmanship of Charles, Prince of Wales to manage the Royal Collection. It is a company limited by guarantee, registered in England and Wales, No. 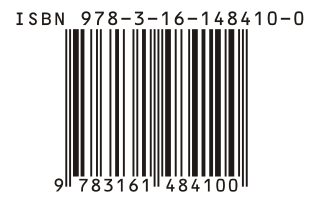 2713536. It is a Registered Charity No. 1016972, Registered Office: York House, St James's Palace, London SW1A 1BQ. Sir Geoffrey de Bellaigue was Surveyor of the Queen's Works of Art from 1972 to 1996. His was the first full-time appointment to the office, and he did much to professionalise the Royal Collection department after being made the Director of the Royal Collection in 1988. The Director of the Royal Collection is head of the Royal Collection Department, a department of the Royal Household of the Sovereign of the United Kingdom. The department is responsible for the day-to-day management and upkeep of the art collection of the British Royal Family; held in trust for the nation and successive monarchs, it is one of the largest and most important art collections in the world. It contains over 7,000 paintings, 40,000 watercolours and drawings, about 150,000 old master prints, as well as historical photographs, tapestries, furniture, ceramics, books, and the Crown Jewels of the United Kingdom. The Director of the Royal Collection is also an ex-officio trustee of Historic Royal Palaces. Sir Peter Lely was a painter of Dutch origin whose career was nearly all spent in England, where he became the dominant portrait painter to the court. The following entries cover events related to the study of archaeology which occurred in the listed year. Abraham van der Doort was a Dutch artist. As Keeper of Charles I's art collections, he was the first Surveyor of the King's Pictures. Peregrine Bertie was an English politician, the second son of Montagu Bertie, 2nd Earl of Lindsey. A member of the court party, later the Tories, he sat for Stamford from 1665 to 1679, and from 1685 to 1687. Most active in Parliament during the 1670s, he and other members of his family were consistent political supporters of Bertie's brother-in-law, the Duke of Leeds throughout several reigns. While he never achieved significant political stature, he did hold several minor government offices: he was a captain in the Royal Regiment of Horse Guards until 1679, and a commissioner of the Alienation Office and a customs officer. The death of his wife's brother brought the couple an estate in Waldershare, Kent, where Bertie ultimately settled. He sat for Westbury after the Glorious Revolution, but showed little political activity compared to others of his family. Bertie stood down from Parliament in 1695 and died in 1701, leaving two daughters. Sir Christopher John White CVO FBA is a British art historian and curator. He is the son of the artist and art administrator Gabriel White. He has specialized in the study of Rembrandt and Dutch Golden Age painting and printmaking. Margaret Dickens Whinney, FBA was an English art historian who taught at the Courtauld Institute. Her published works included books on British sculpture and architecture. Charles Henry Collins Baker was an English art historian and painter. ↑ "Press Release: Appointment of new Surveyor of The Queen's Pictures, The Royal Collection". Royal Collection. 2004-12-17. Retrieved 2008-05-22. ↑ "No. 27291". The London Gazette . 5 March 1901. p. 1576. Millar, Oliver (1977). The Queen's Pictures. London: Weidenfeld & Nicolson. ISBN 978-0-297-77267-5.